The St George’s Festival is held in April on the closest Saturday to St George’s Day. 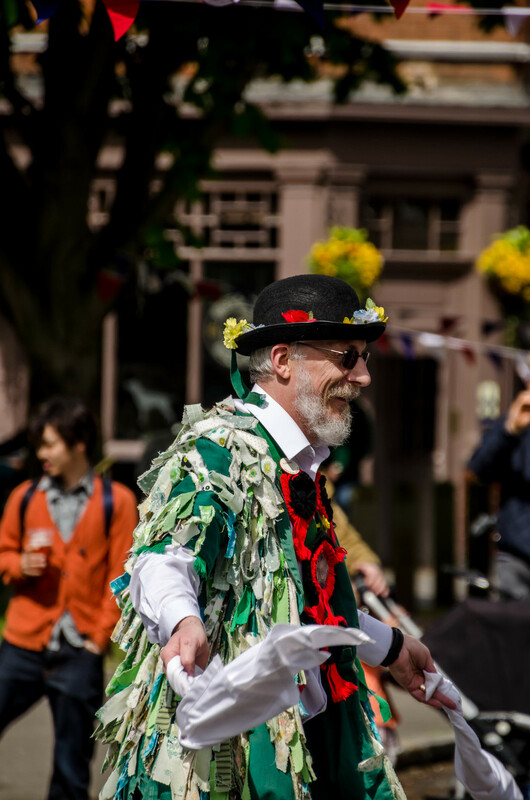 It is a celebration of traditional art forms such as Morris Dancing, Folk music, mummers plays and Shakespeare. 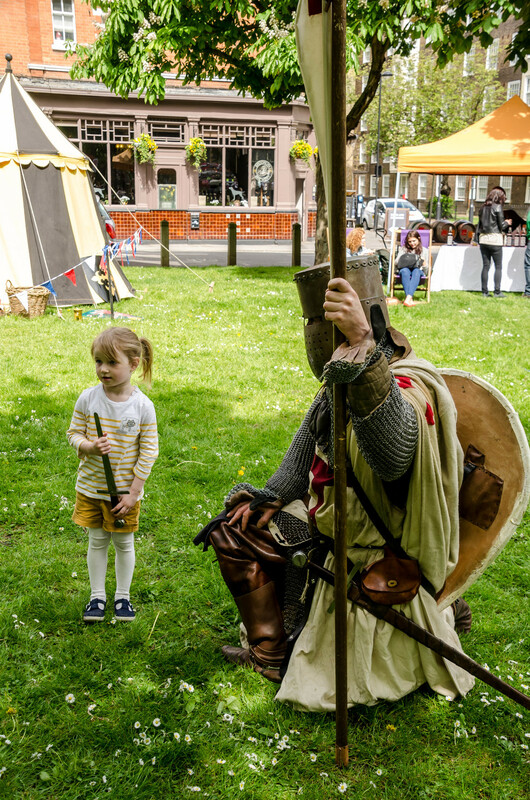 The overall theme is that of a medieval fair with falconry displays and “The London Tournament” a full contact medieval combat tourney where the London Champion is crowned, surrounded by appropriate stalls and foods, a great family day out. 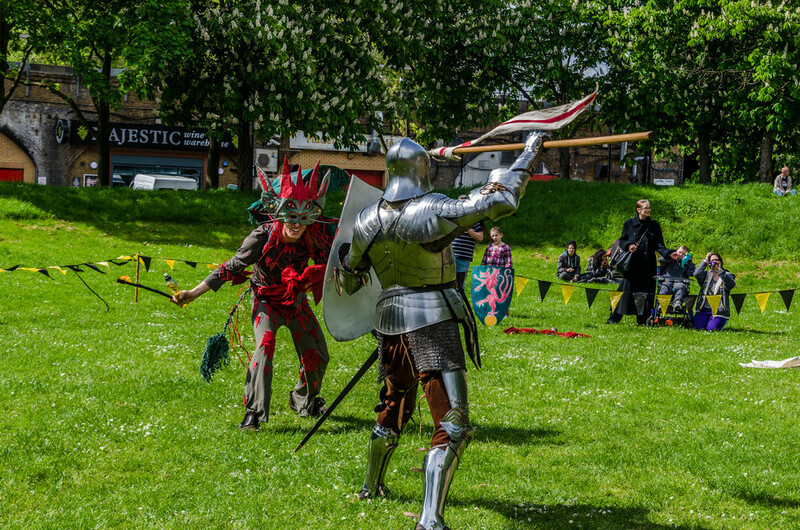 St George’s Day Festival is organized by Vauxhall Trust CIC which was formed in January 2013. They have a ten year plan to bring four festivals a year to the Vauxhall Pleasure Gardens. Two of the directors have been working together as a touring theatre company for 15 years and had opened the Tea House Theatre on the Vauxhall Pleasure Gardens in 2011. The other director has been working in the arts sector in Vauxhall for many years and ran the Oval house Theatre during its most successful period. Already this offering has increased to five festivals in 2015. Vauxhall Trust has a commitment to artistic excellence and a track record in bringing fantastic artists and entertainers to the Pleasure Gardens. The directors all live in the area and, as part of the community, have a real stake in making sure that the festivals bring everyone together on the Gardens to share in the fun and entertainment on offer. All these events are assisted by the kind support of the Lambeth Events team.